The next morning I used the blanket and neck wrap on Phoenix for 45 minutes. She has a tendency to hold tension in her back and neck. Being an Andalusian, it takes awhile for her to become stretchy and elastic under saddle because all she wants to do is collect and go. I was amazed when I rode her after her Thermotex session, she immediately was stretching over her back and into the contact instead of bracing. The biggest surprise of all was our canter transitions! She can be a bit grouchy in the transition but as soon as I put my leg back to ask for the canter she immediately picked up the most lovely canter without hesitation, both directions! She was also able to perform her lateral work with ease. 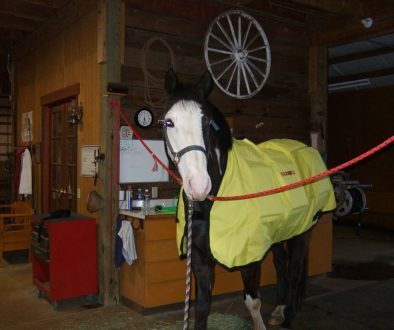 I took Phoenix to a dressage clinic a couple weeks after getting the Thermotex Blanket. The first day of the clinic I ran out of time before my ride and wasn’t able to give her a treatment. She was stiff, not wanting to engage, and it took the majority of our ride to get her supple and really pushing from behind. 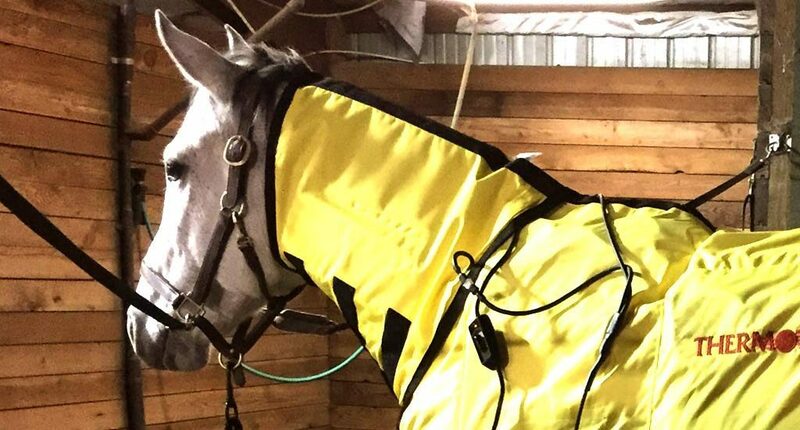 The second day I made sure to give her a treatment with the blanket and as soon as I was on, the clinician noted a difference in her suppleness and push from behind just at the walk! Before the third ride I also did a Thermotex treatment. I expected Phoenix to be fatigued and behind my leg as she normally is at the end of a clinic. However, I had a very eager horse under me and we were able to accomplish more than I had expected during our ride! The Thermotex has definitely become a staple in my routine for maintenance as well as for clinic and competition preparation.